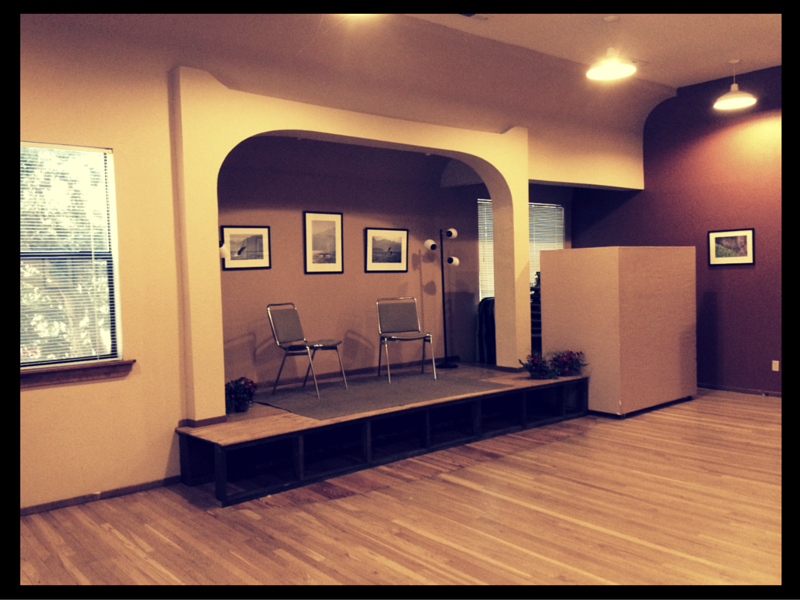 Looking for a space for a community meeting, small concert, workshop, movement class, or something else? The Geos Community Room, located at 84 Fourth Street in Ashland Oregon might be just the space you are looking for! The approximately 500 square foot room features direct access to outside that is handicap accessible, wood flooring, a small stage, windows on two sides, access to restrooms, and plenty of street parking. Also available for use are folding tables, chairs, and sandwich boards for putting signs up outside. Scroll down for availability, room dimensions, and photos. Preview the rental agreement and detailed terms and restrictions for rental of the Geos Institute community room. This fee includes a password-protected wireless internet connection. Please note: there are no rentals before 5pm, Monday through Friday. Please submit your request via our online request form.